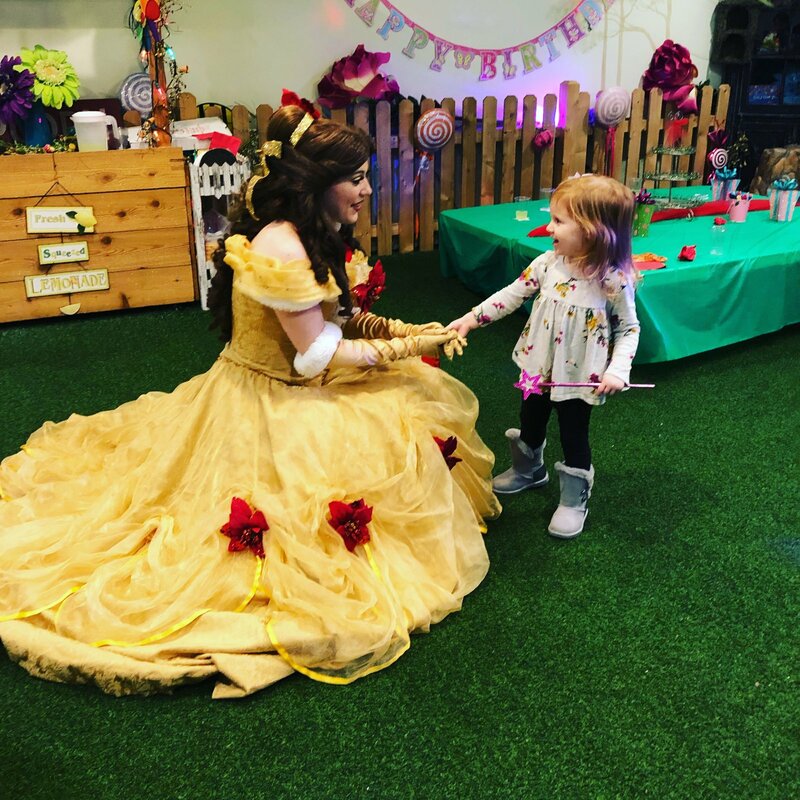 Let us transform your next celebration into a magical adventure, where fairytales and fantasy come to life. 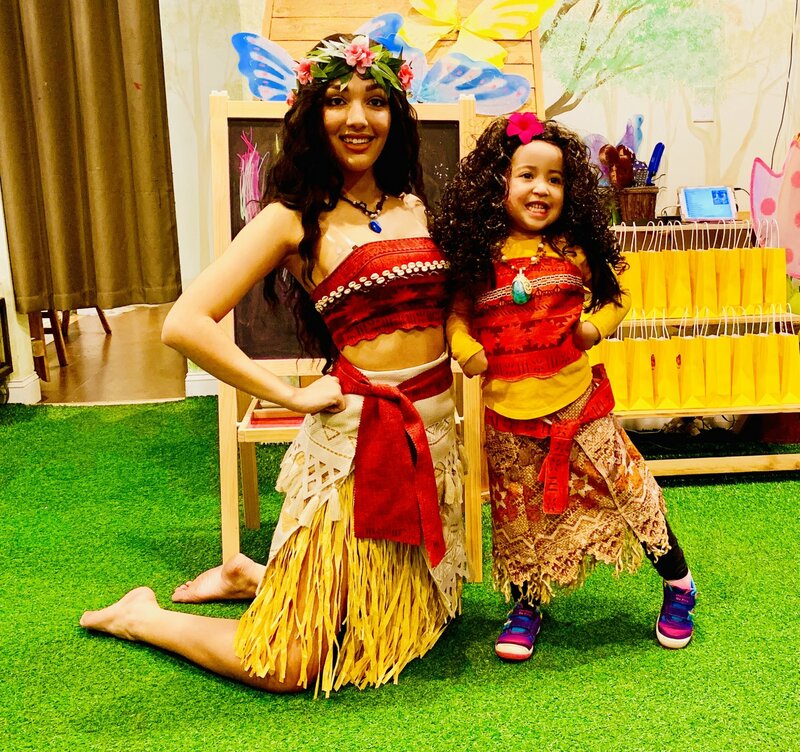 Journey to a world where our guests become Pirates, Princesses and Superheroes. 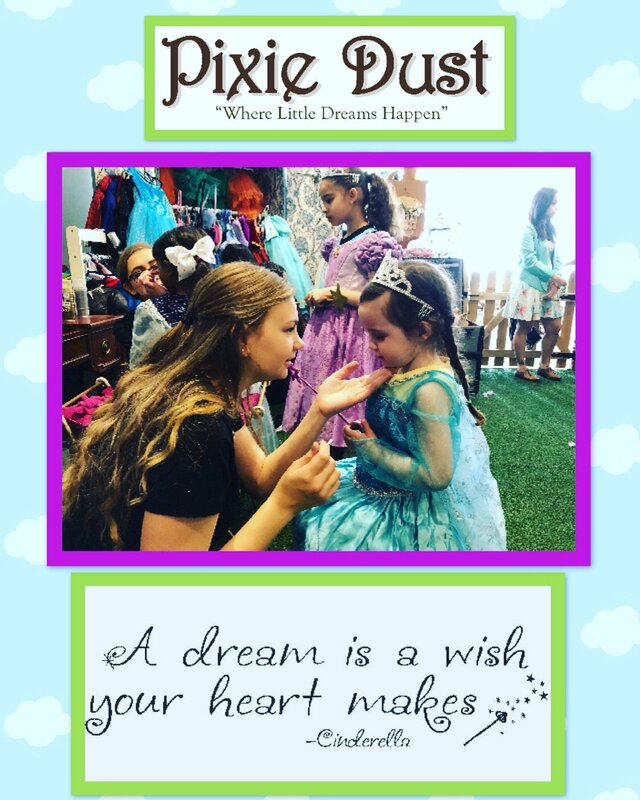 Where all you need is Faith, Trust and…a little bit of Pixie Dust! 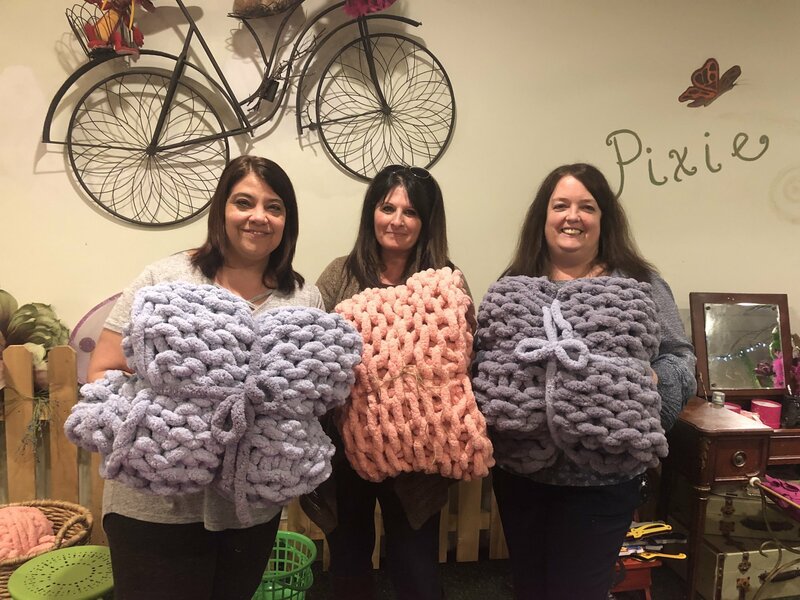 We offer: Children's Parties, Character Events, Adult and Children's Craft Classes, Crocheting, Kids Night Out, Field Trips and much, much, more! 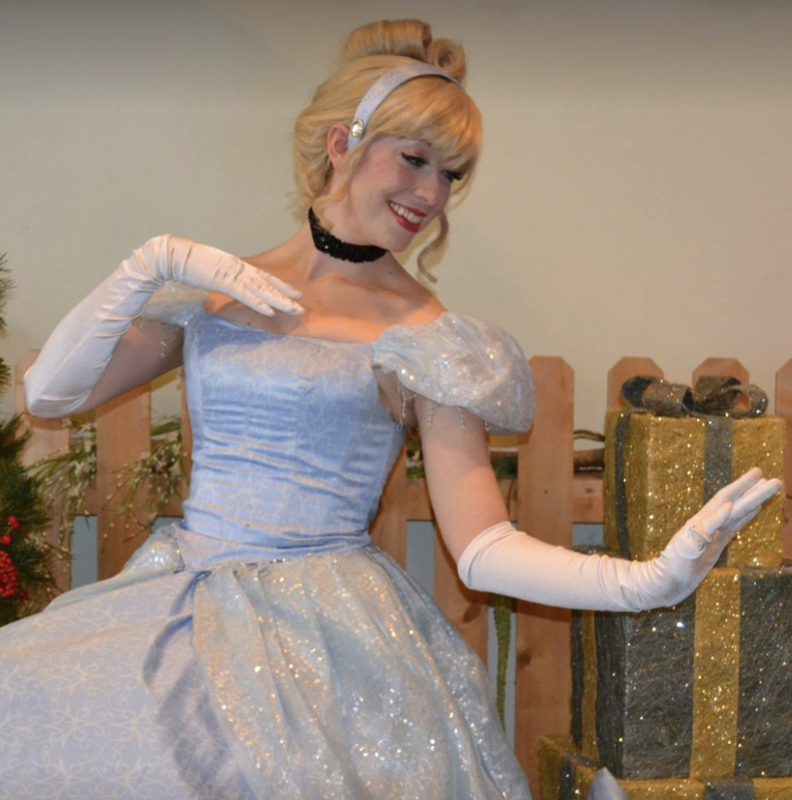 Plan your next business meeting or corporate event at Pixie Dust. Our event space is fully equipped with WIFI, 55-inch Smart TV, and audio system. Rent our space for your next private affair. We rent our space for 3 hour parties, includes set up, break down and 1 attendant. Is Pixie Dust only for girls? No! 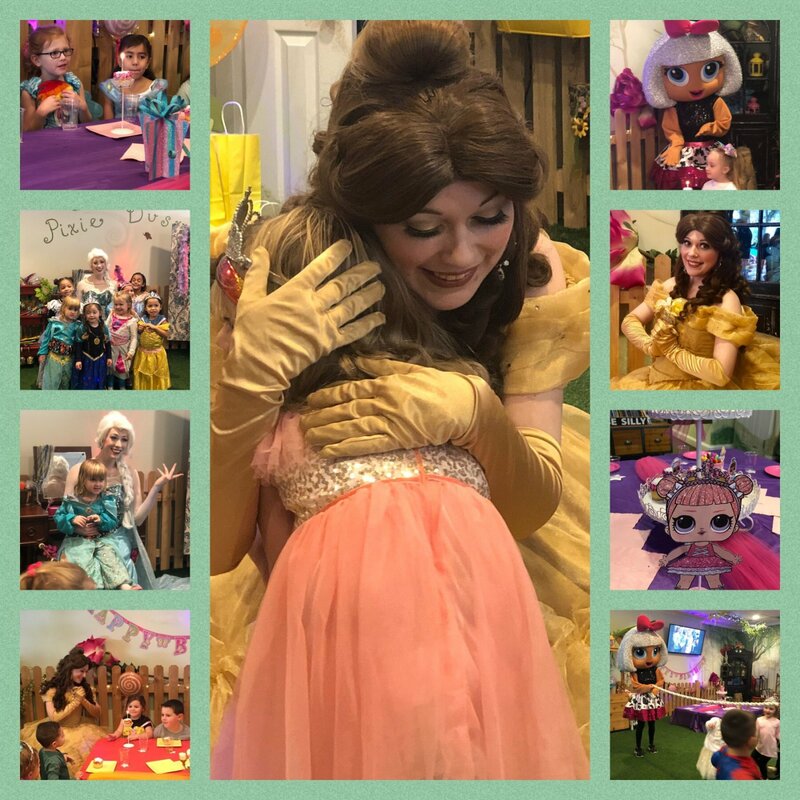 Pixie Dust is the perfect venue for both boys and girls parties! 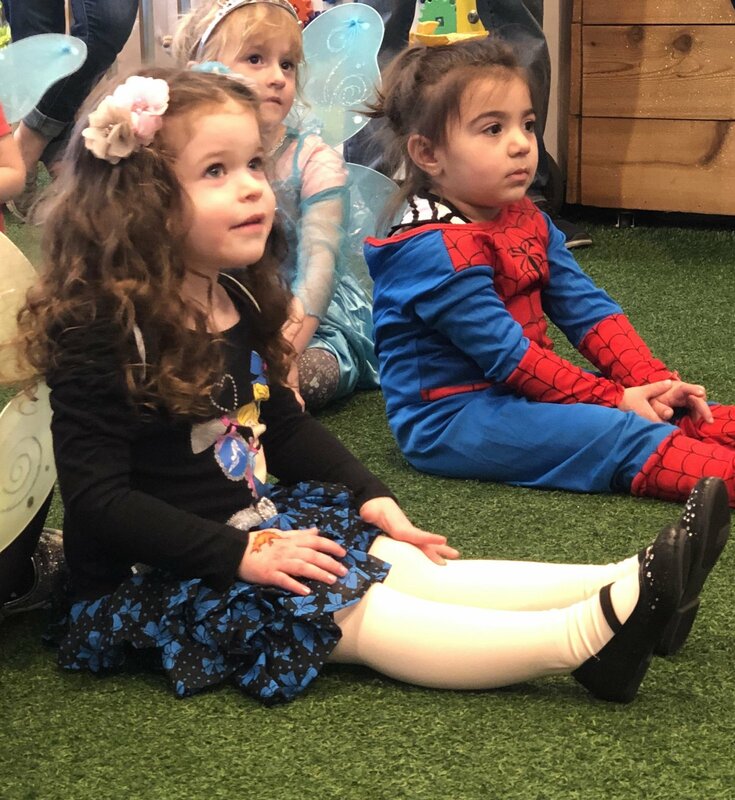 We specialize in Pirate and Princess parties but we also offer, Super Hero parties, John Deere (or Farm) parties and Peter Pan Parties too! 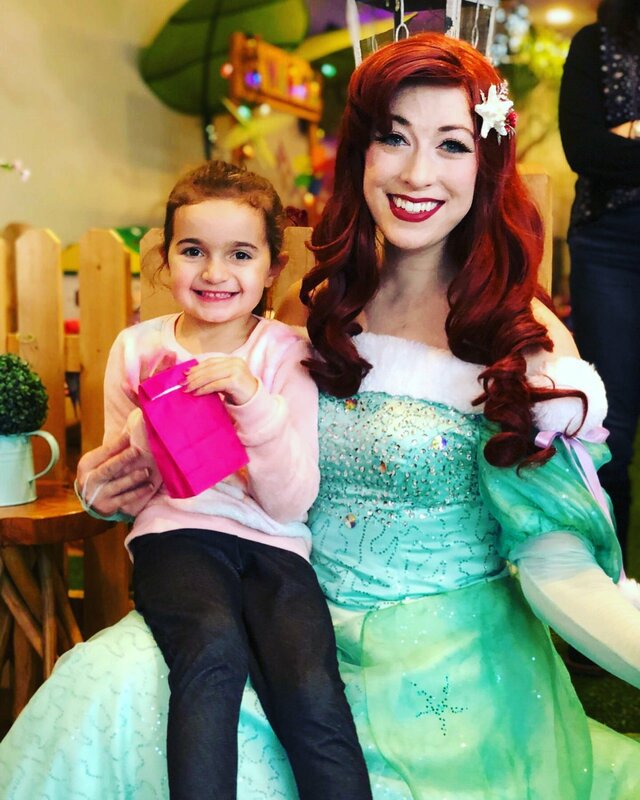 How much do your traditional birthday parties cost? 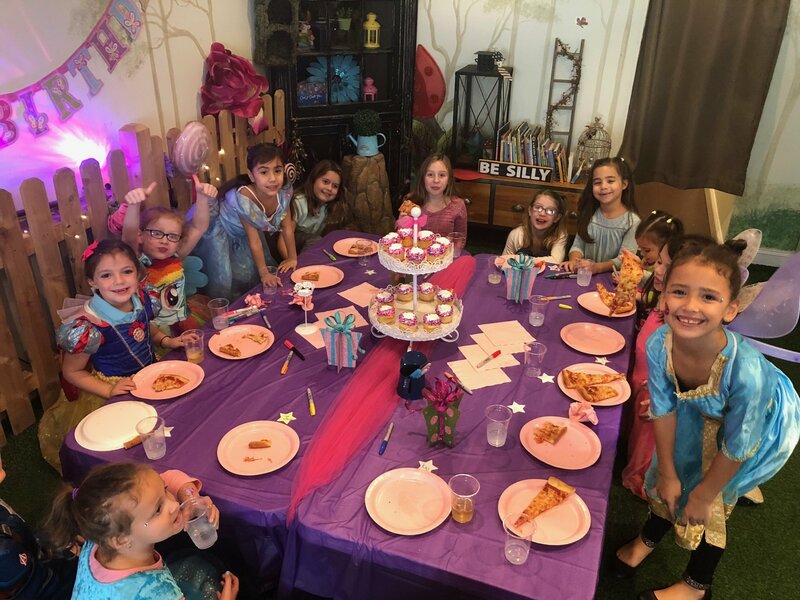 What type of parties do you have for older children? 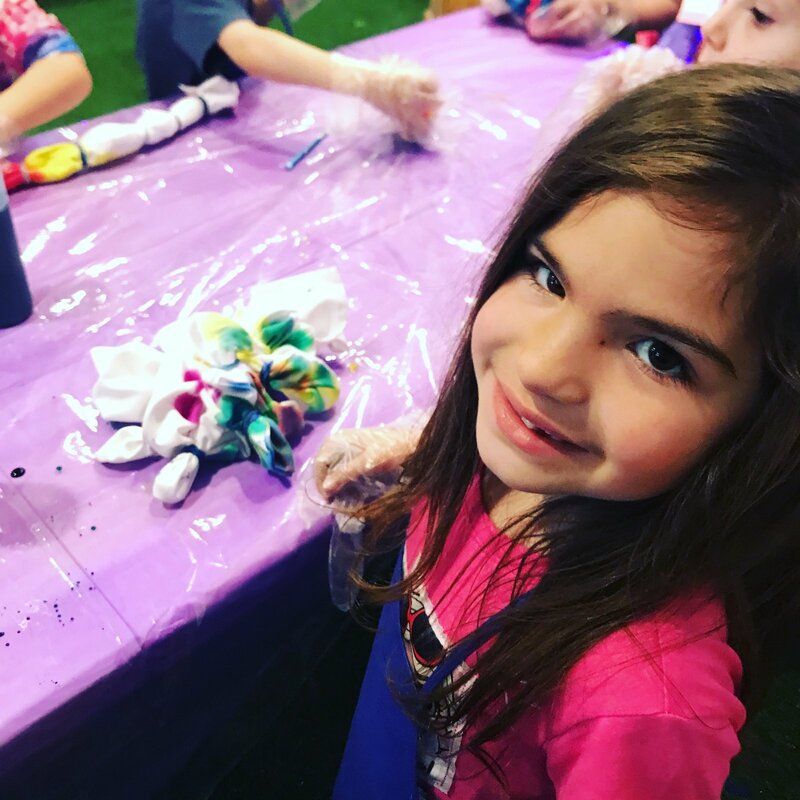 For our older children we offer Slime parties! 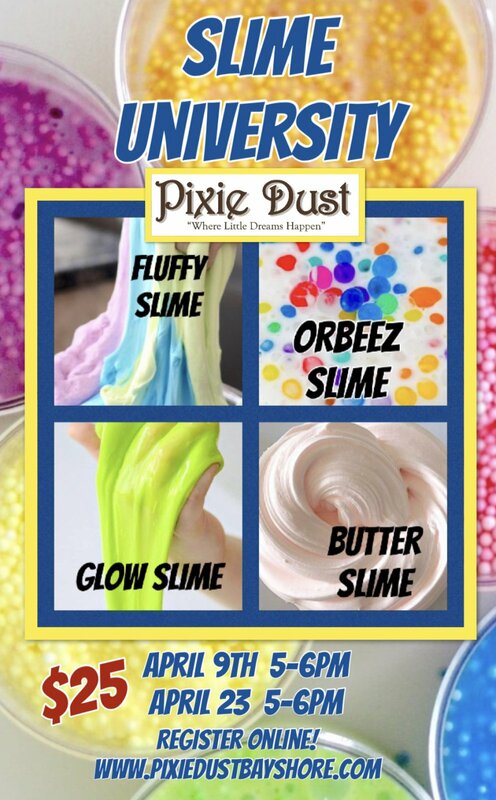 Each child is given the ingredients to make slime from scratch! The children LOVE this party because they are able to pick their own favorite colors and get their hands dirty! We also offer a Pillowcase Tie Dye party! Each child creates their own masterpiece! No two creations are the same! 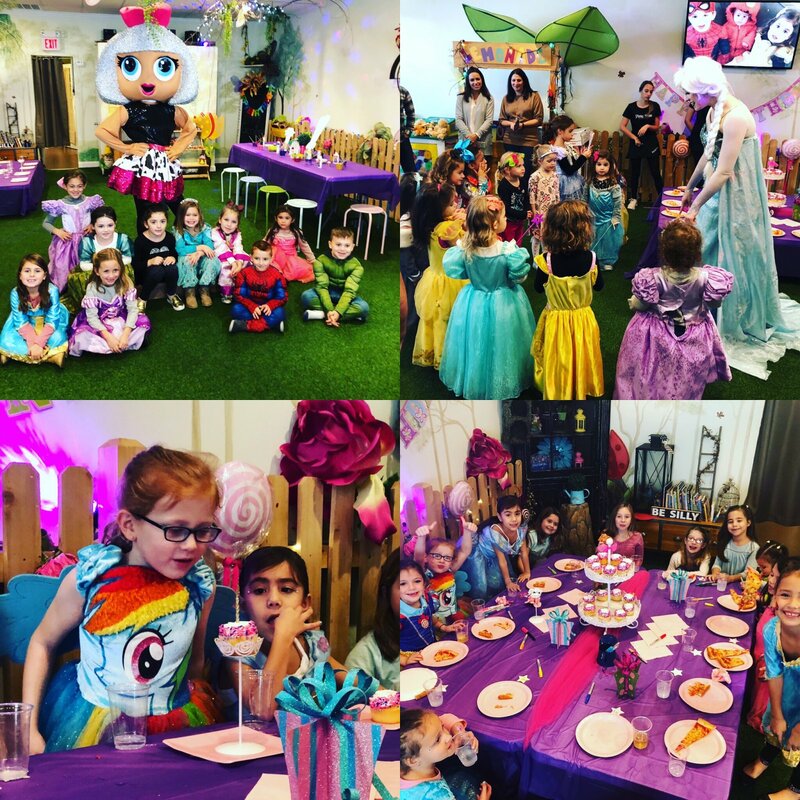 The kids love this party as it gives them a chance to be creative and messy all at the same time! We have pizza, cupcakes and a dance party too! This is a perfect party for our boys and girls ages 7-11! Their is an additional charge of $25.00 for the Tie Dye and Slime party! Can I extend my party to two hours? Yes, you can extend your party to two hours! Their is a $75 charge for the extra half hour. What does it cost to have a character at my party/event? 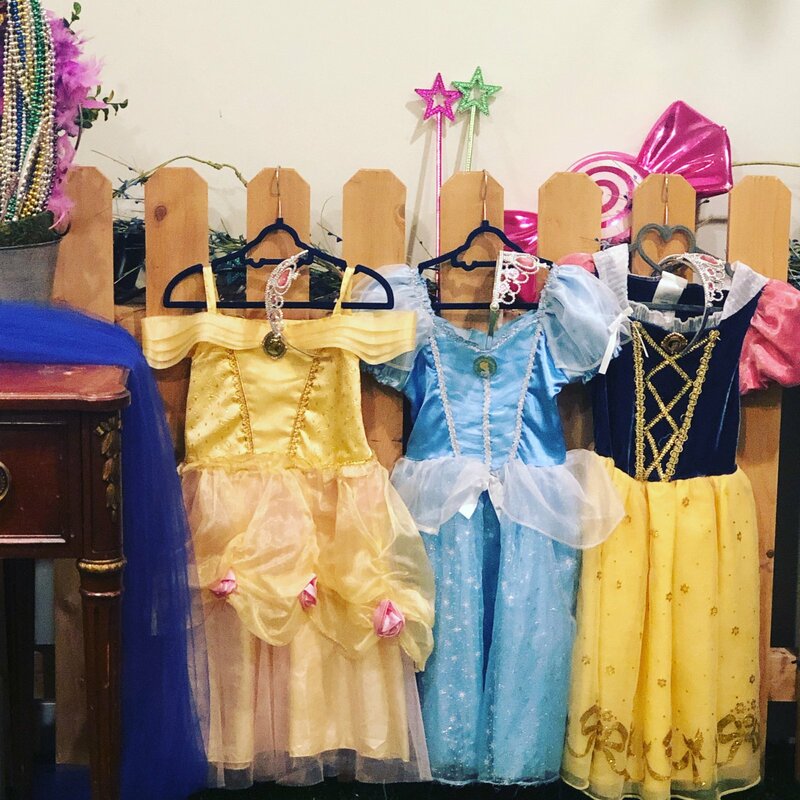 Our Princesses are $175 for 1 Hour Paid Directly to Spoonful of Sugar Entertainment. Our Mascot Characters are $100 for 30 Minutes. Have you made anything with your machine yet? If so, share! If not, have you uploaded Design Space yet?